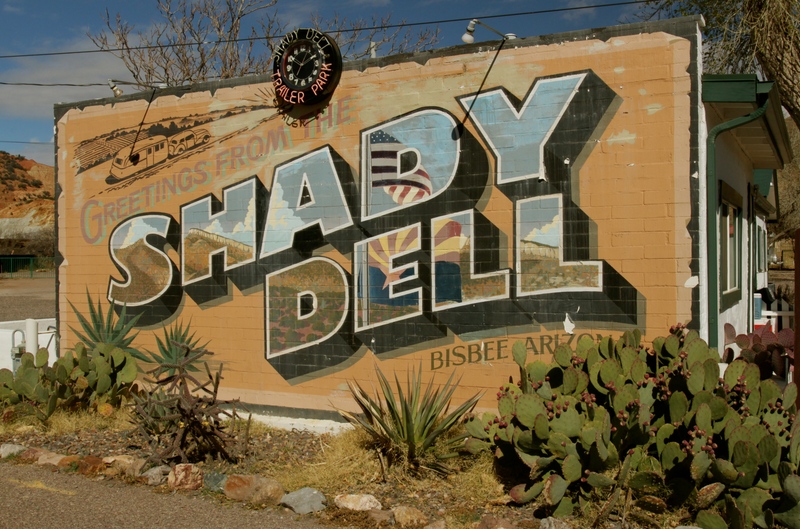 This week I was finally taken to The Shady Dell by my friend, Paula Sindelar. 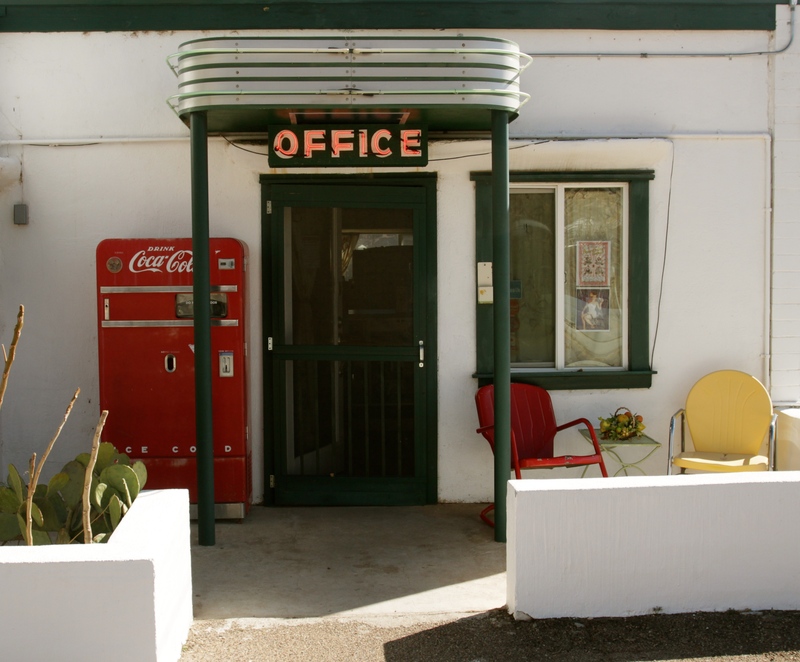 This unique motel is just outside of downtown Bisbee, AZ, which was built to support mining and other pursuits a century ago. 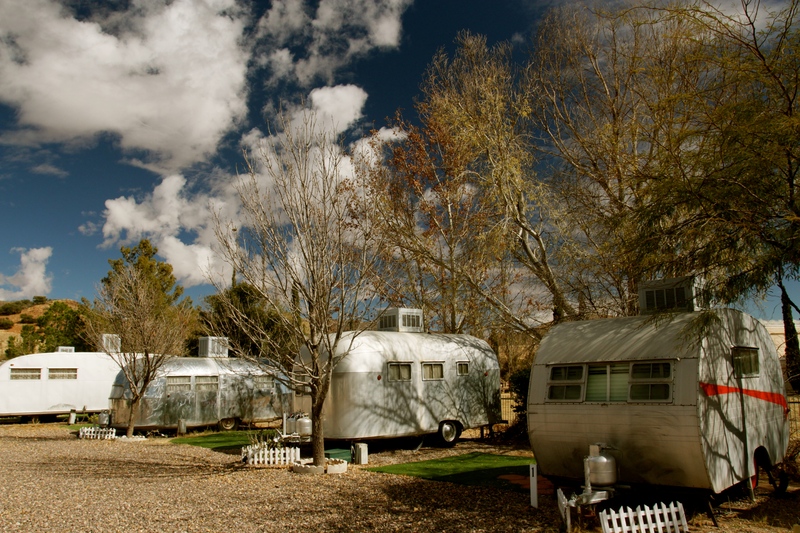 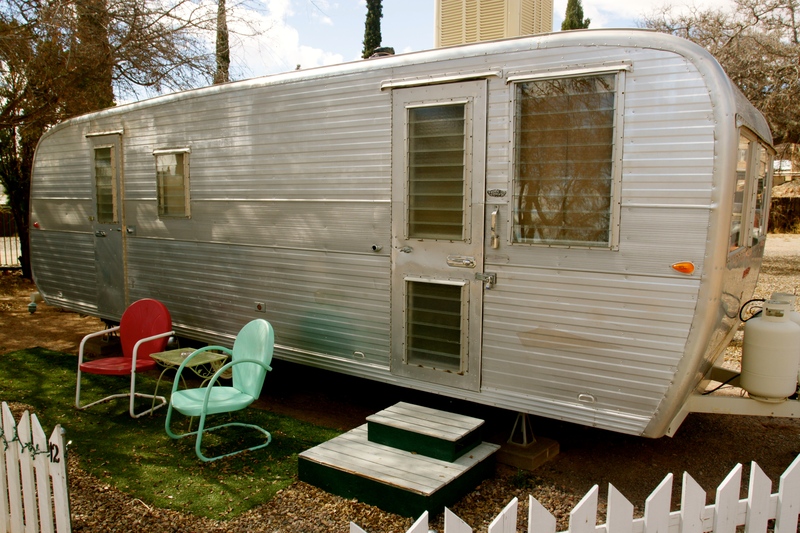 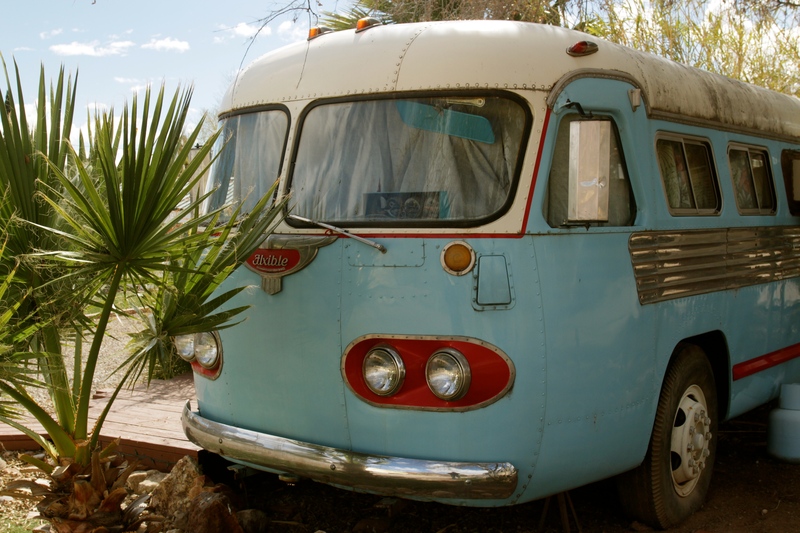 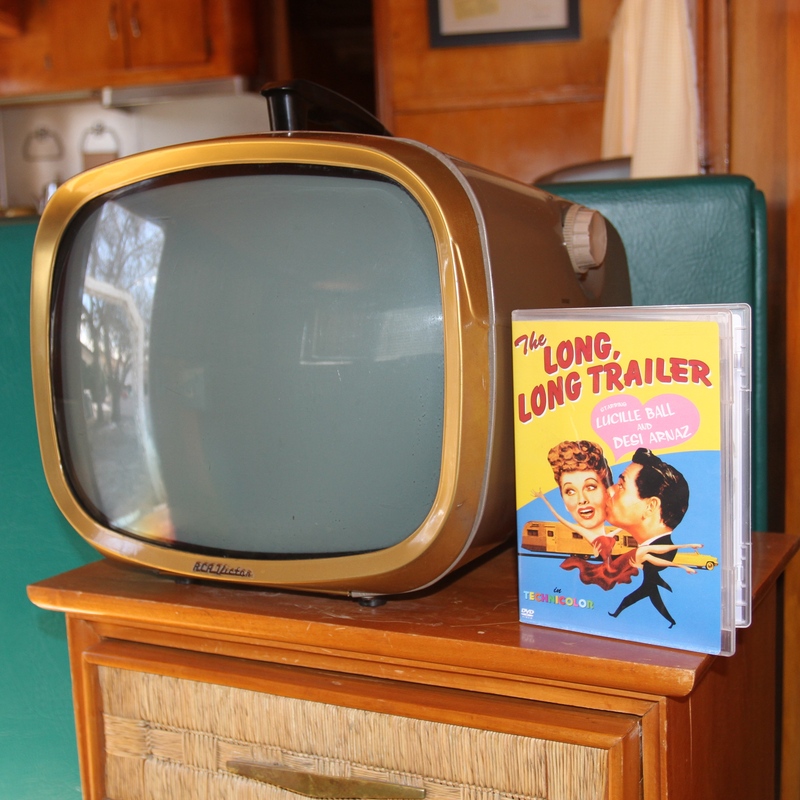 Fully restored trailers of the vintage aluminum variety dot a desert landscape. 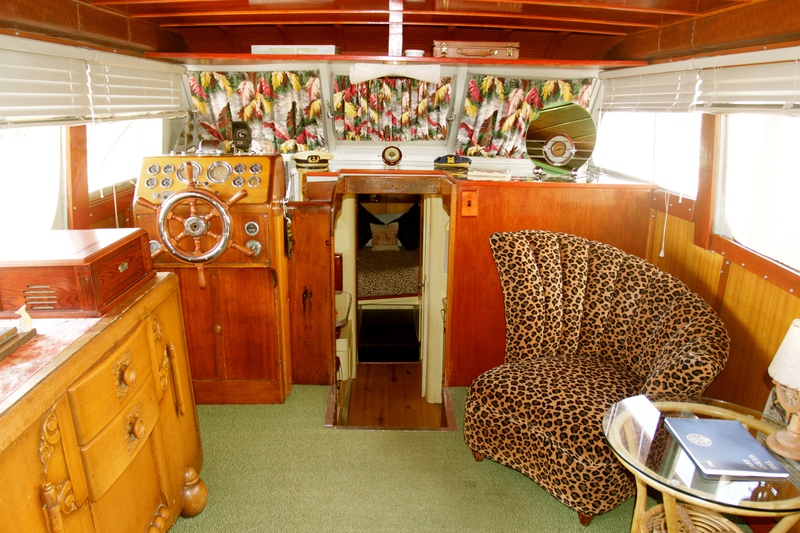 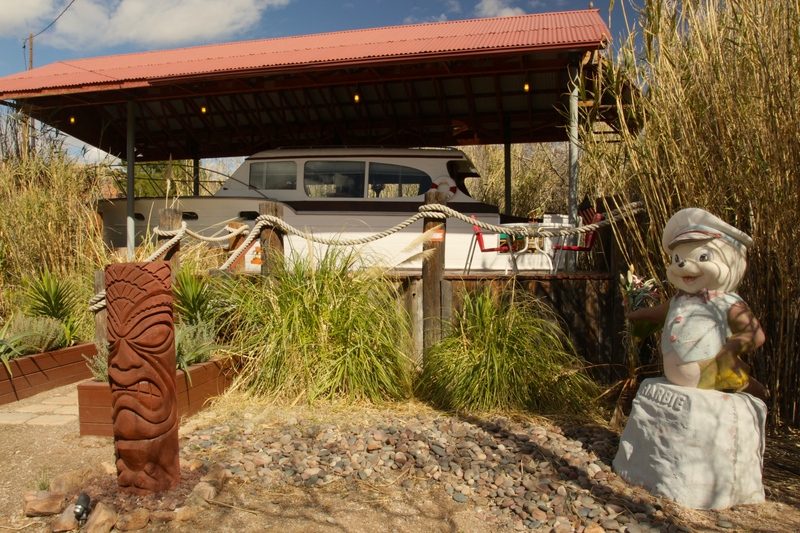 Add to this a restored 1957 Chris Craft Yacht, a sort of tribute to Gilligan’s Island, and a fully restored bus and you have quite a few extremely unique places to stay and relive the 1950’s. 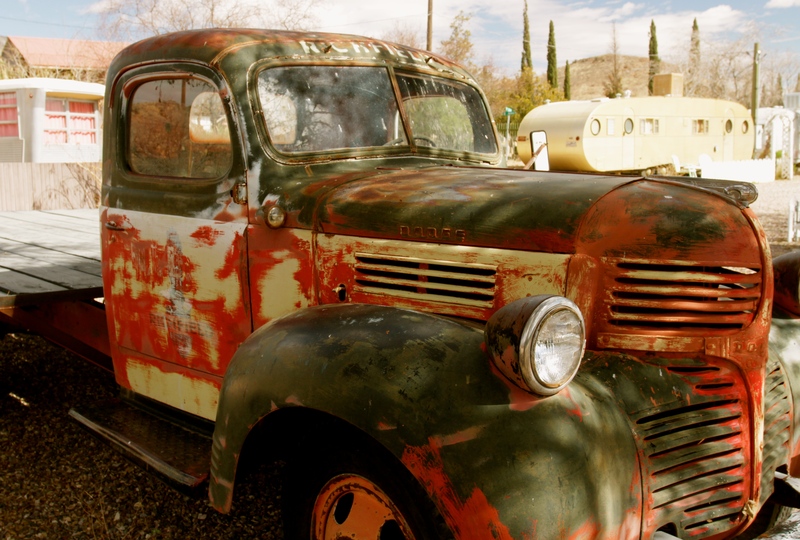 and Vintage Cars and Trucks in various stages of restoration. 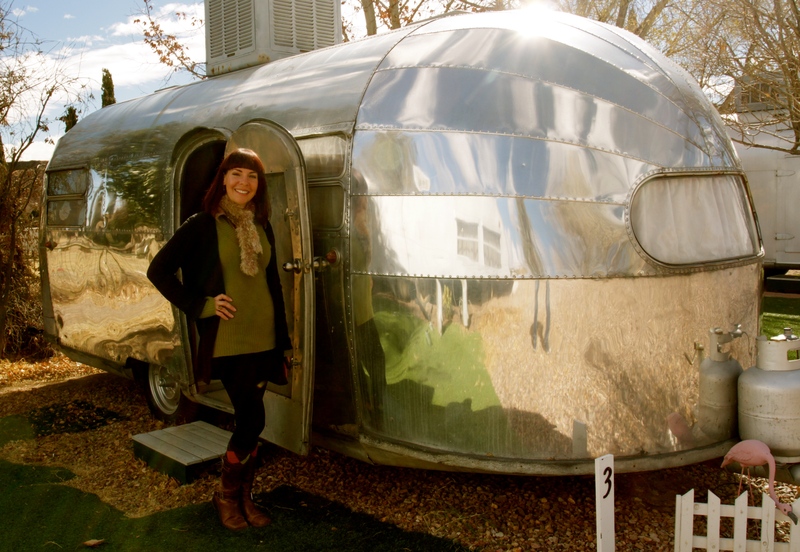 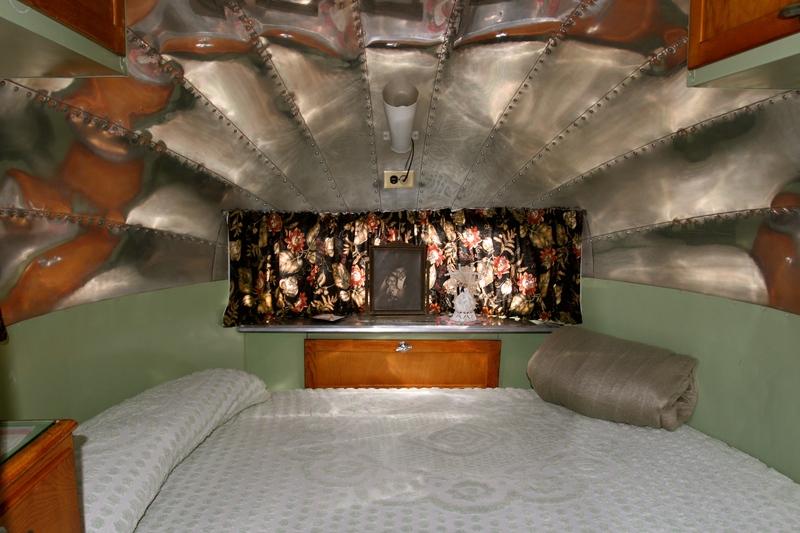 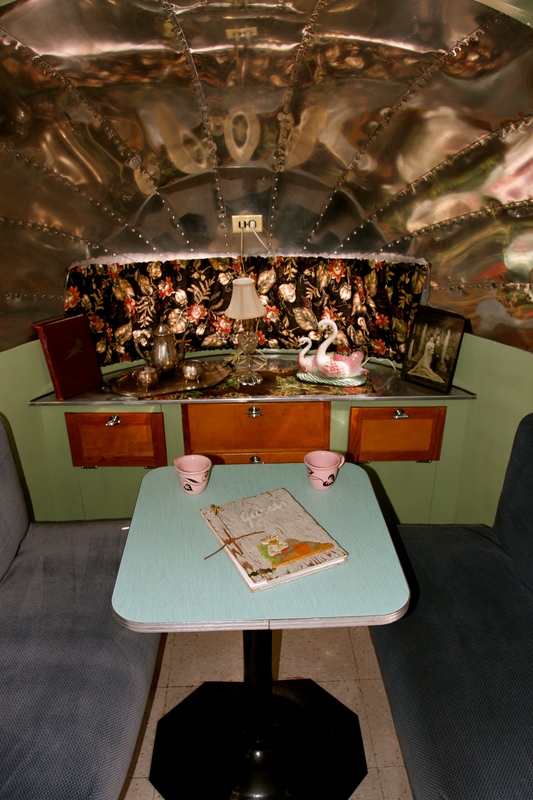 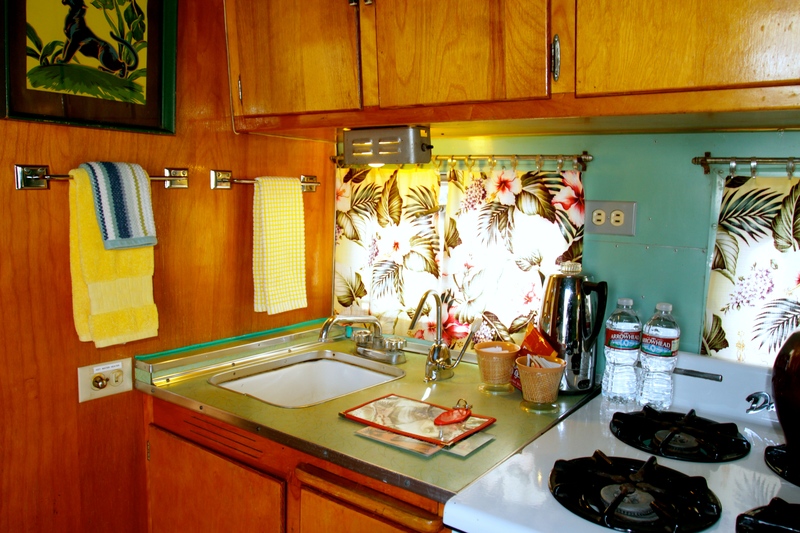 Jen toured us through the 1949 Vintage Airstream, which has a beautiful interior featuring polished aluminum that reflects back the years. 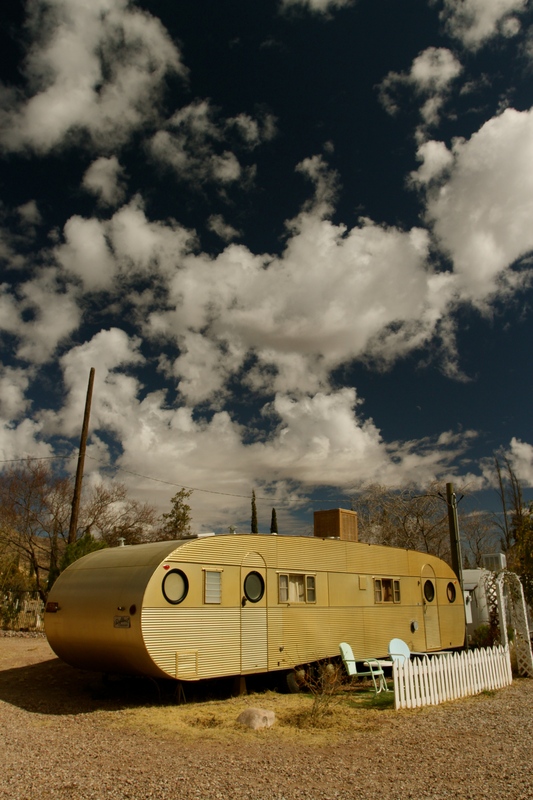 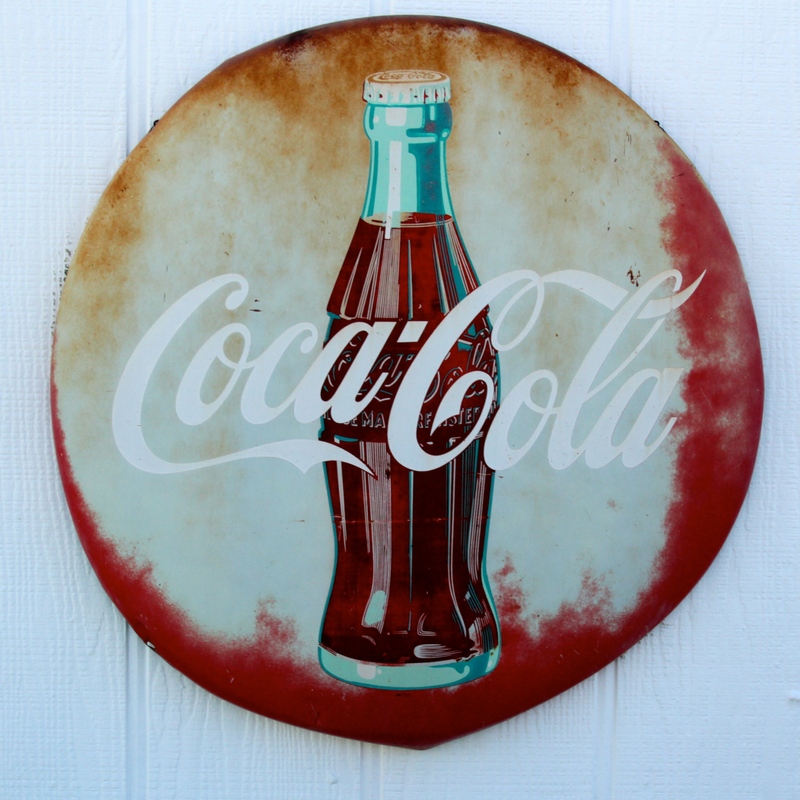 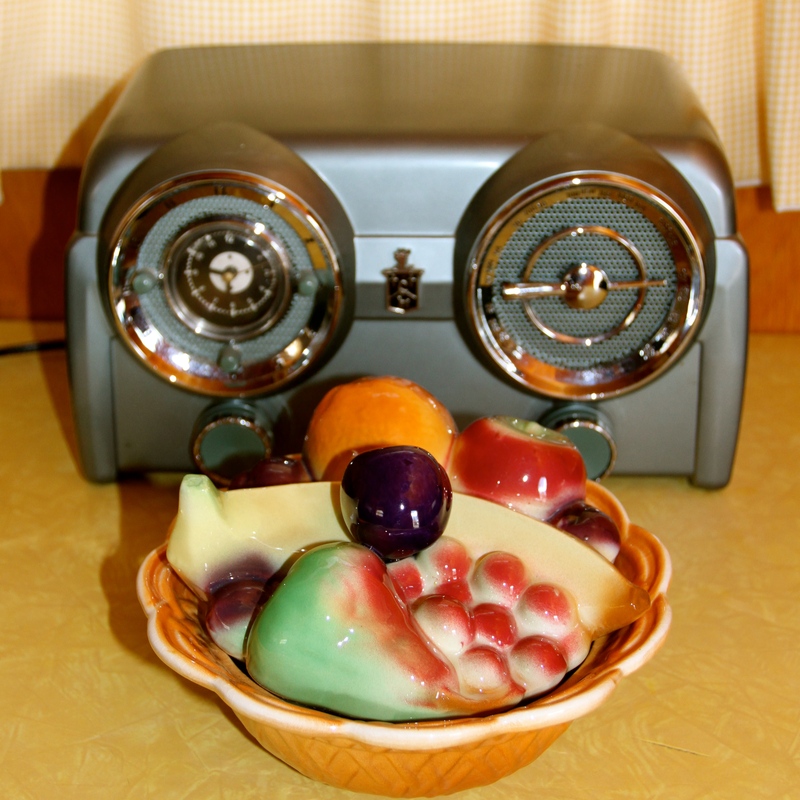 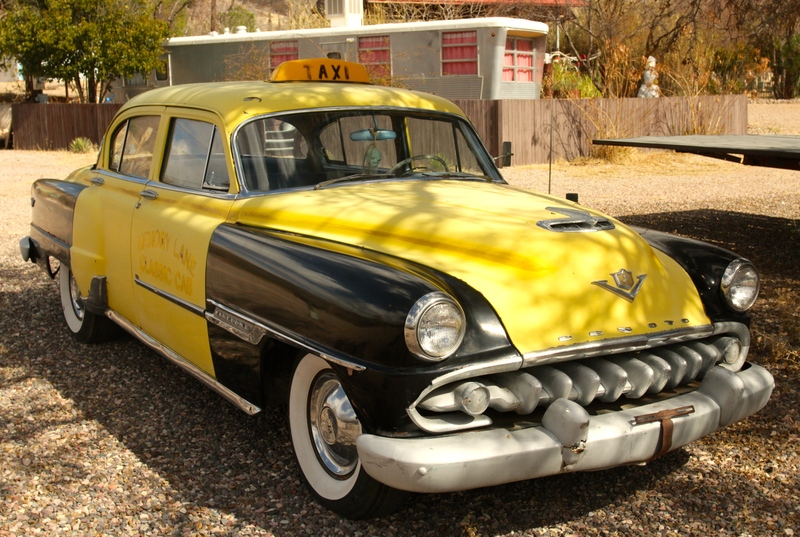 What was striking was the 1957 Gold Airfloat. 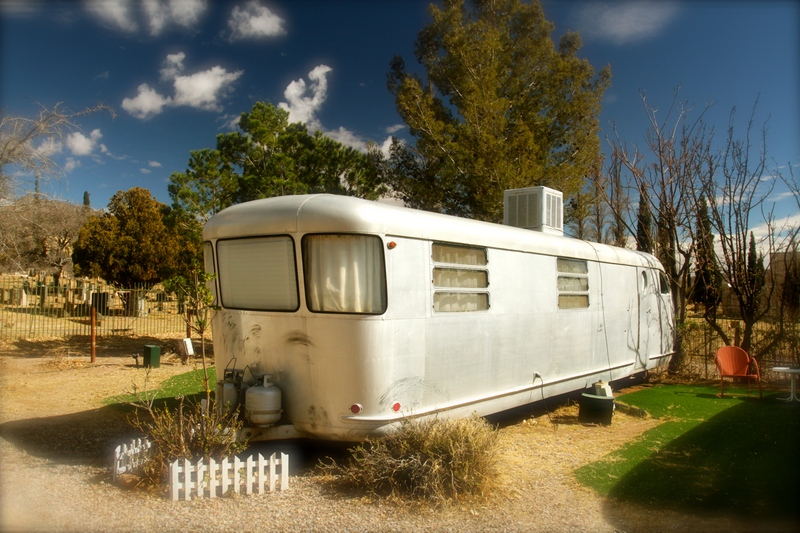 It’s unique shape and reflective exterior really is a stunning thing to see in person. 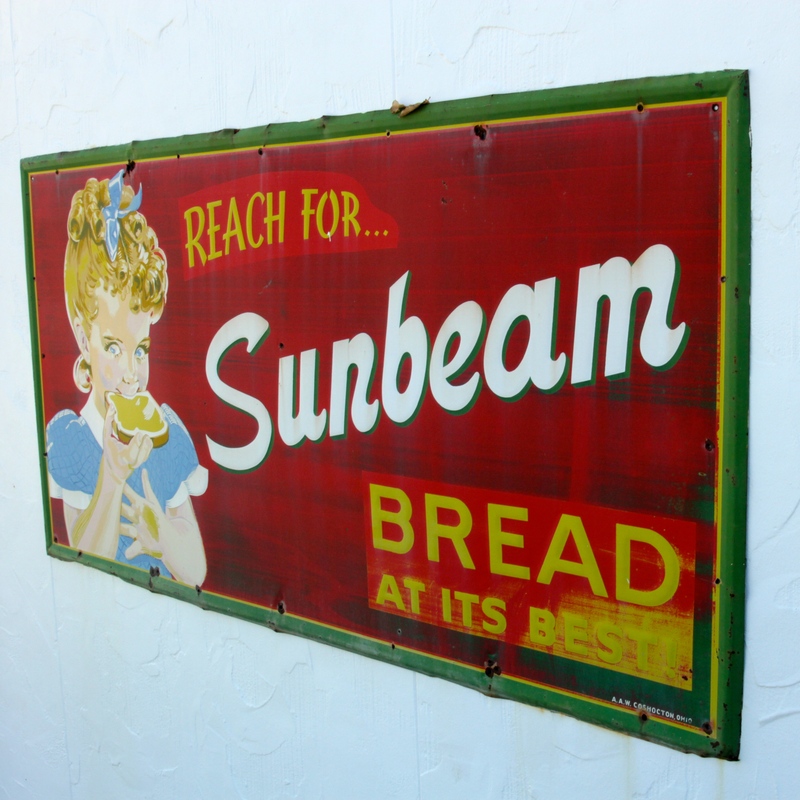 Signs of the times and a welcoming reception finish out this extraordinary place. 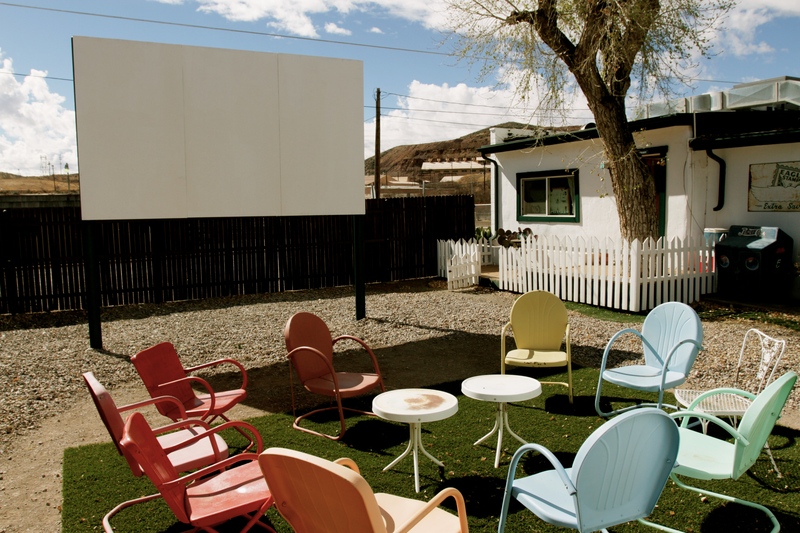 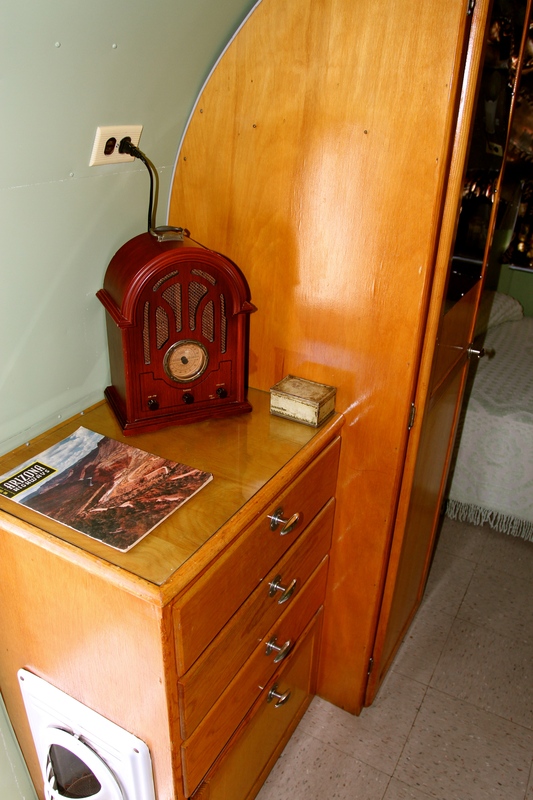 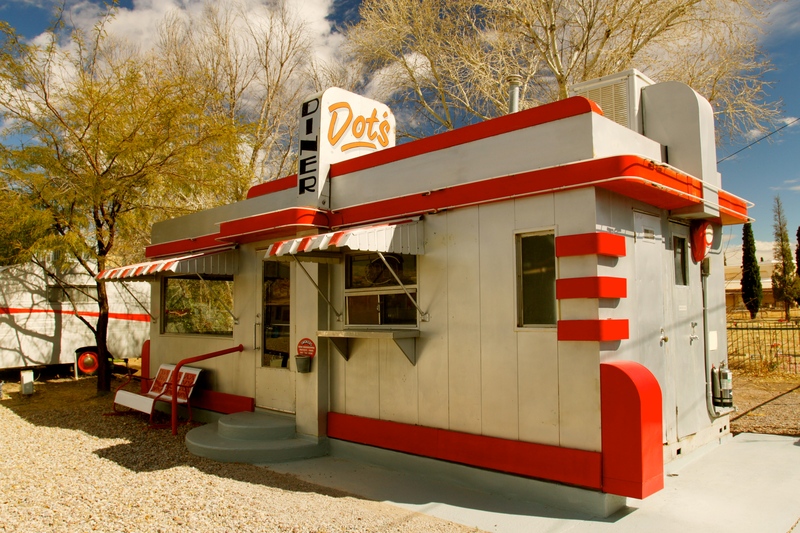 Relax, break out the perfect novel, and spend a weekend soaking up the sun and history of this one-of-a-kind motel in historic Bisbee, Arizona.